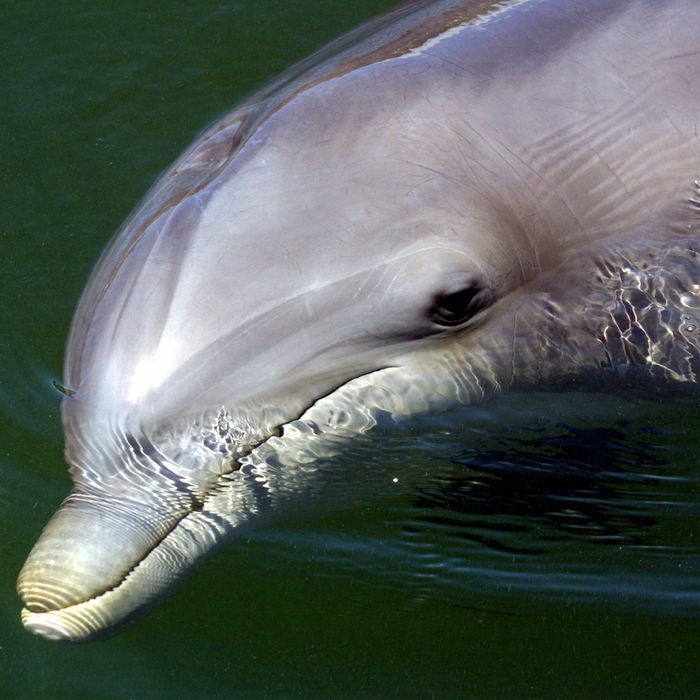 It may no longer be the Cut’s official Horny Week, but its impact lives on in the form of a dolphin named Zafar, who has reportedly been wreaking havoc on the French seaside village of Landévennec. Before the horniness kicked in, locals and tourists were “amused” by the three-meter long dolphin. The Telegraph notes that the dolphin would “suddenly turn up and frolic around” boats, and occasionally even “let swimmers grip onto his dorsal fin and go for a ride with him.” But then, of course, Zafar got horny, and playing with the animal became complicated. “Swimming and diving are banned on the village shoreline … whenever the presence of the dolphin is confirmed,” said a new bylaw issued last week by the mayor of Landévennec, Roger Lars. “Approaching within 50 metres of the dolphin is also forbidden,” said the text. Lars (the aforementioned mayor) stressed that the new rules are just to “to ensure people’s safety.” But one Breton attorney, Erwan Le Cornec, has called the ban “excessive” and said that he plans to take legal action to have it overturned, as dolphins so rarely actually attack humans.